This entry was posted in Gaming and tagged SkyrimDuck, SkyrimDuckSays, Twitter. Bookmark the permalink. 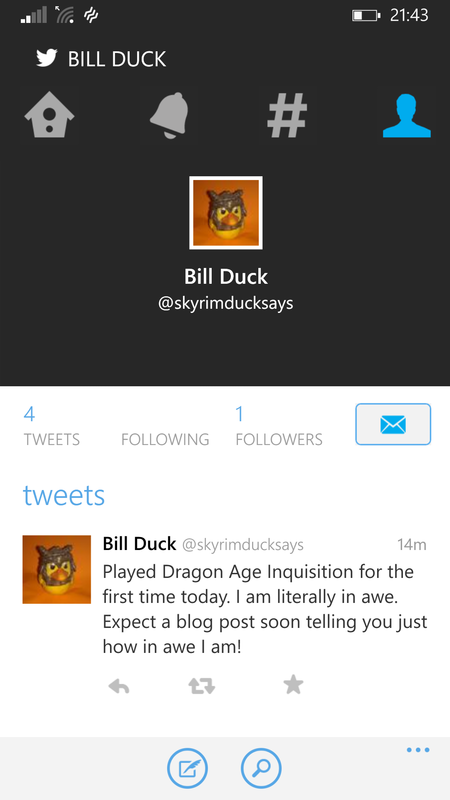 ← SkyrimDuckSays……….. So Ducking Mad!